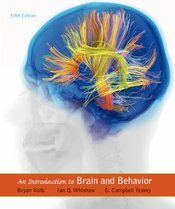 The brand new LaunchPad for Kolb/Whishaw/Teskey’s An Introduction to Brain & Behavior includes a full e-Book, LearningCurve adaptive quizzing, videos and our Immersive Learning Activities for Neuroscience. These 30 interactive & assessable activities focus on the core topics & mechanisms in neuroscience. Preview the Excitatory Ionotropic Synapse activity below.